Befitting its name, the movie ‘Sui Dhaga’ revolves around everything to do with textiles – sui (needle) and dhaga (thread). 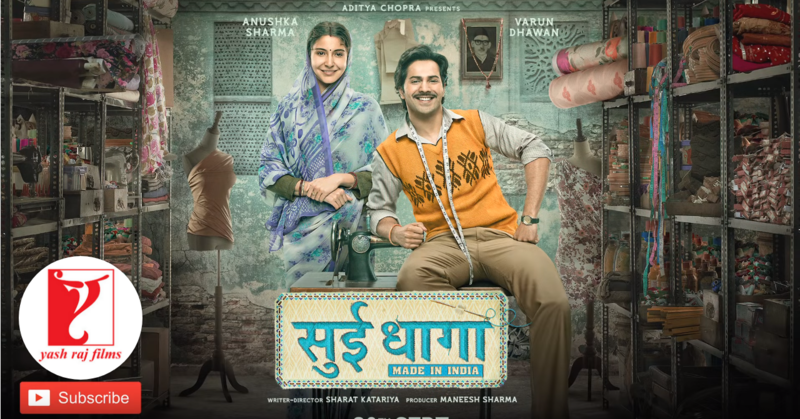 Bollywood actor Varun Dhawan plays the male lead role of a tailor named Mauji and actress Anushka Sharma plays the role of his wife who is an embroiderer named Mamta. Though portrayed non-glamorous, the pairing effortlessly looks like a small town couple. Sui Dhaga is a heartwarming yet realistic tale that celebrates the spirit of love and self-realisation. The movie is based on the concept of ‘Make in India’ campaign launched by the Government of India in 2014, which was aimed to promote India’s indigenous and small-scale industries. One can see the small town of Chanderi, Madhya Pradesh, which has been globally known for its textile handlooms. After much awaiting the trailer for Sui Dhaga finally released today. The actors are at their best with shy moments and stark determination to achieve their dreams. The plot of the film seems to be very patriotic and yet gives off a sense of courage inside every person. 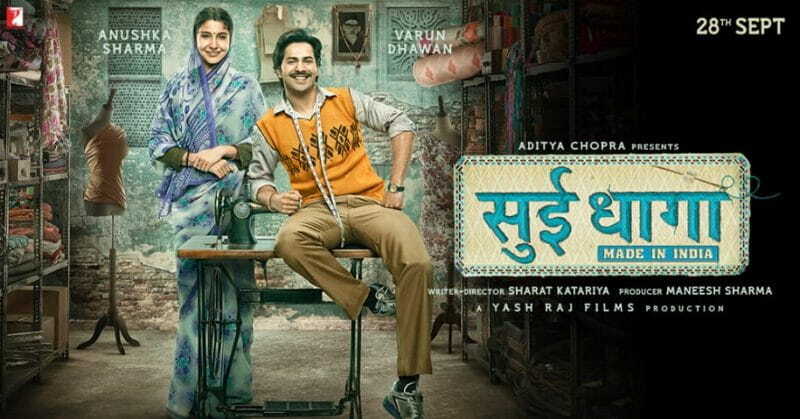 Inspirational and touching, Sui Dhaga aims at bringing tears to our eyes. The movie has been written and directed by Sharat Katariya of ‘Dum Laga Ke Haisha’ fame. The family drama is set to release on 28th September 2018.